Leave those amateur shots behind and get a perfect and professional portrait with today’s Vancouver DealTicker deal of the day where for $39 you get a 60 minute professional photography session on location within lower Mainland or in studio, it includes one 8″ x 10″ print, 8 wallet prints, and an image CD (with up to 20 photos) from Life Street Photography. That’s a savings of $161 or 81% off! You may buy 1 voucher for personal use and unlimited as gifts and the vouchers don’t expire for 1 full year. Living life through the lense, Life Street Photography photographs the road of your life, with all its joy, laughter and love. 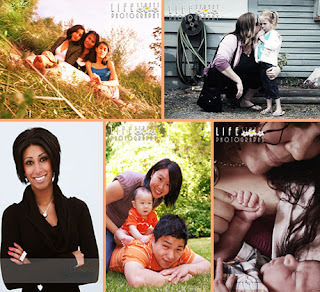 Working on various portfolios including weddings, engagements, babies and couples. Life Street Photography pays attention to the detail and has a passion for capturing the still moments of life with family and friends. Their professional and experienced team of photographers never fail to find the perfect light to take your shot. Capturing your genuine smiles and expressions, Life Street always makes sure their photo shoot session with clients is comfortable and fun rather than awkward and tense. Life Street Photography always takes the right turn down the street when it comes to bringing back and reliving many happy memories of someone’s special day through fabulous pictures and portraits. Relax into the perfect pose with today’s Vancouver DealTicker and tell friends to jump into the shot rather than gloss over this deal.